Iquitos has been a great experience both educationally and culturally. The people are so friendly and are truly thankful for our presence in Iquitos. On numerous occasions I have had people thanking me and the doctors repeatedly for not only treating their problem, but also for listening. This experience has helped me better understand the therapeutic value of listening to others even through a language barrier. One very cool experience I’ve had in the clinic that was proof that listening to a patient’s story is an important and treatment was yesterday when Dr. Athens let me and a few other student help debride an ulcer on a patient’s leg that had been there for 7 years. 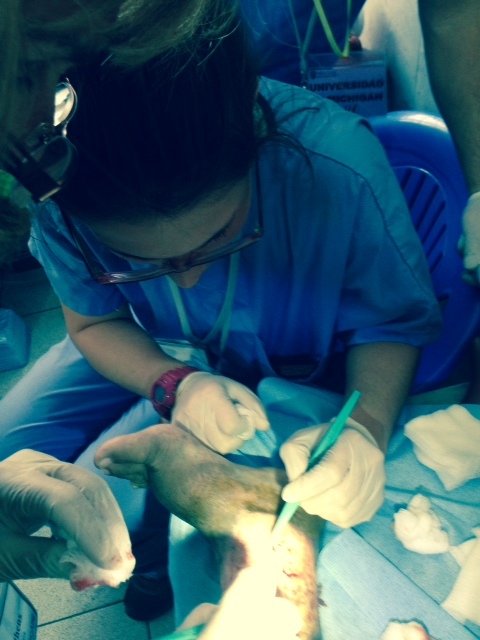 The patient told us that she has seen others to treat the ulcer on her leg, but no one took the time to properly care for the wound so that it could heal. After removing the very thick biofilm that had collected on the wound, we treated with ulcer with antibiotics and gave the patient medicine for pain. The patient’s face when we had finished treatment was priceless. You could see the appreciation in her eyes. It was so touching to be able to help a a person be able to heal. Today we took a photo at the clinic as a group since it was Dr. Juhasz’s -the president of the AOA- last day in clinic. 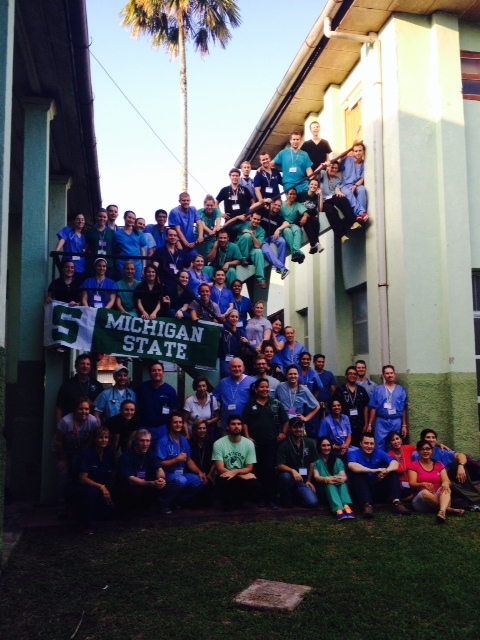 It was a privilege to work with Dr. Juhasz and share osteopathic principles with Iquitos.